Snacks and a movie - gold coin donation. "Babakiueria (pronounced Barbecue area! 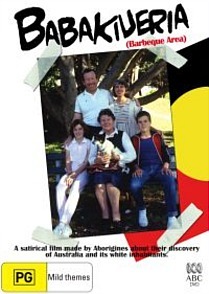 )is a short and effective drama that features the role reversal in which Aboriginal Australians change places with the historically dominant white Australians." GOFRG will also be holding our AGM for 30 minutes before the movie. Everyone is welcome, if you'd like to join us.